A 3D Physics-Platformer from a bug’s-eye view! You’re a tiny grasshopper with big ol’ legs, trying to make a living at the bottom of the food chain. Leap over vast distances, avoid predators, zip between individual blades of grass, and bloom each of the seeds hidden in the environment! A radically small perspective and sense of scale. A unique, launching-based movement system. Vertical platforming that allows you to scale anything in the environment. A dynamic ecosystem of creatures and critters. We have exhibited the game to tens of thousands of people and we have pitched the game to PlayStation, XBox, and Oculus. 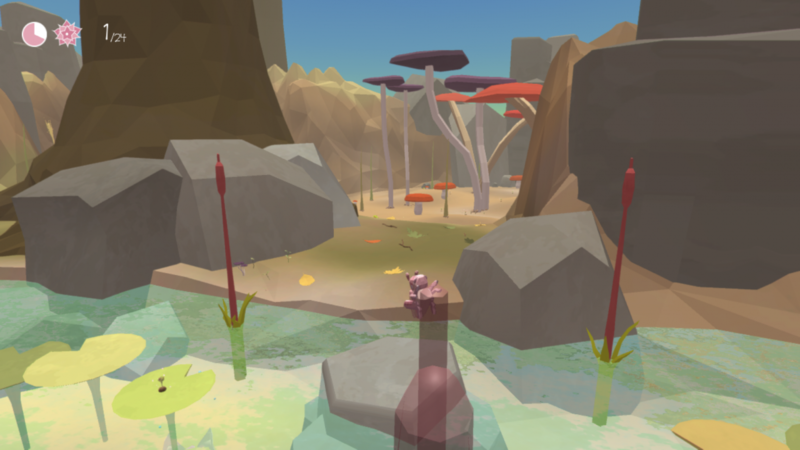 Grassdancer began as an intermediate game project inspired by the documentary “Microcosmos” and was then developed further by a team of six USC game designers, who traveled to the UK in summer 2016 to compete against 15 international student teams in Dare to be Digital. Find out more at grassdancer.garden.